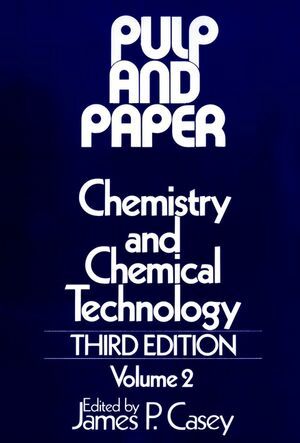 An in-depth look at the chemistry and chemical technology involved in the manufacture of pulp and paper, the properties of paper, and the uses for paper. This new edition contains contributions by forty recognized authorities in the field. Emphasizes the underlying science and technology and reviews, in detail, chemical and engineering principles. Includes numerous tables, illustrations, and a complete bibliography. JAMES P. CASEY received his M.S. from Syracuse University Pulp and Paper School in 1947. Among his many affiliations, Mr. Casey has been Director of Applications Research for A.E. Staley Manufacturing Company, Vice President of Research and Development for Union Starch and Refining Company, and Vice President and Director of Research for Miles Laboratories. The author of many technical papers on starch and paper manufacture, he is presently a highly sought-after consultant. Fiber Preparation and Approach Flow (J. H. Young). Fiber Bonding (J. V. Robinson). Sheet Formation and Drying (T. N. Kershaw). Nonwovens and Papers from Synthetic Fibers (W. T. Heyse). 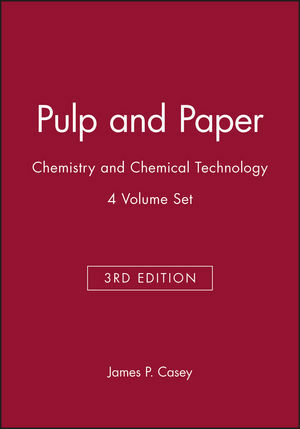 Synthetic Papers and Pulps (W. H. Hoge). Environmental Control (A. M. Springer and R. C.